When I think of the Holidays and Christmastime I picture myself draped in an apron, baking treats a la The Cleavers and crafting up seasonal decorations to my heart’s content. I am too busy to sit around crafting and baking all day, especially over the holidays. I can assure you, my home will NOT be magazine worthy or decorated to the hilt this season. Heck, I couldn’t even get it together enough to blog about decorating for Halloween or Thanksgiving (I put out a few decorations on top of the piano for Halloween, and completely bypassed any decorating for Thanksgiving all together). I suppose I can decorate at 11pm, but really? I’ll admit, I seriously don’t care enough about my house looking show-room quality to stay up late decorating like a Pottery Barn store after a long day of running around. I absolutely LOVE Christmas though. It really is the most wonderful time of the year. I can’t wait until Dec 1 each year so the radio will start playing Christmas music ’round the clock. I get giddy-excited when I see the holiday decor pop up on shelves in August. I just love LOVE Christmas. Just because I don’t have time to craft and bake does not mean I am a Scrooge, it just means I am a super busy wife, mother, daughter, sister, and friend who puts those relationships before getting the house ready. So, if you are out there reading blog after blog with amazing holiday decor and their entire homes decorated to the hilt, with 7+ Christmas trees (seriously? Who does this? I can barely get one tree up! ), brand new freshly sewn stockings year after year, and a constant stream of wassail sizzling on the stove, DON’T GET BUMMED OUT! You are not alone in your despair. To make things even easier for me, I have given up the idea of crafting my own Advent Calendar. I admit, I do not have time to think about or mess with filling the Advent Calendar I made a few years ago. Last year I just stuffed it with candy, but 25 straight days of candy just doesn’t seem like the best idea (even though I’m sure our dentist appreciated the extra business! See Confession #12). My kids each get a Lego Advent Calendar. It’s a tradition we started about 3 or 4 years ago, and they look forward to it each year. Plus, it makes my job a whole lot easier. They are excited to get new Legos each day, and I’m excited to not have to stress out over crafting the perfectly thought-out 25 days of Christmas. Win win. I found these back in October at my grocery store (HEB) for around $30 each, though a quick Amazon search shows they are more than twice that to purchase them online now. Yikes. I do realize $60 is a steep price to pay for two Advent Calendars, however, when I filled my handmade calendar two years ago with little goodies from Party City, I spent almost that on little crappy plastic toys that got thrown out the next week. I’m hoping I will have the tree totally decorated by this weekend, and all the other decor displayed around the house too. The *plan* is to show you all the Christmas decor by next week. I’m crossing my fingers. Between ongoing personal family stuff I have to take care of, school, homework, piano lessons, drum lessons, girl and boy scouts, tumbling classes, basketball practices, and squeezing in a lunch date here or there with a friend, I seem to have less and less time these days. When the kids were little I was so bored out of my mind each day. I couldn’t wait for Travis to turn 3 so he could start preschool. Selfishly, I was excited that I actually had a reason to get dressed up nice 3 days a week and have somewhere to go. It was a glamorous life back then I tell ya. I would get excited to get on my “nice” jeans so I could take my boy to school. I spent my days cooped up at home with two toddlers, doing basic mom stuff that you’d do if you have toddlers at home. I dreamed about the days that the kids would be older and in school so that our lives wouldn’t be so darn boring. Well, now they are both in school, and I long for those carefree boring days when they were toddlers. Go figure. How wonderful it would be to not have to stick to a weekly schedule that revolved around school and homework! And this is why Christmas and summer are my favorite times of year. No school! No homework! Just the kids and me, and Ben after work each evening, all home together hanging out and playing. And back to Christmas… I can assure you I will not have a perfectly decorated house, but my holiday will be perfect because it will be filled with the people I love. And isn’t that all that really matters anyway? « Black Friday Sale: Silhouette CAMEO, Portrait, & accessories more than 40% off. Well said. 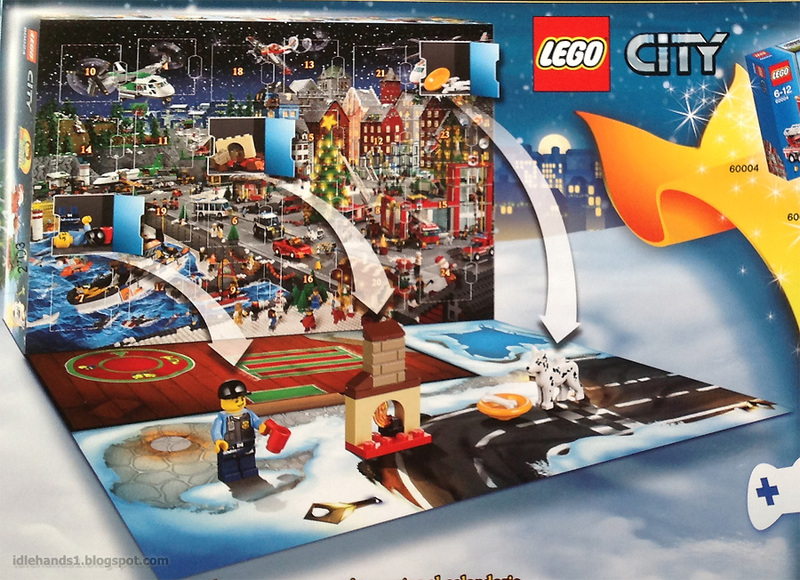 I thought of getting the Lego advent calendars but with 3 kids $90 seemed a bit steep. We are doing a simple advent and it’s mostly reading Christmas books, watching Christmas movies or going to some Christmas event that we already had planned. 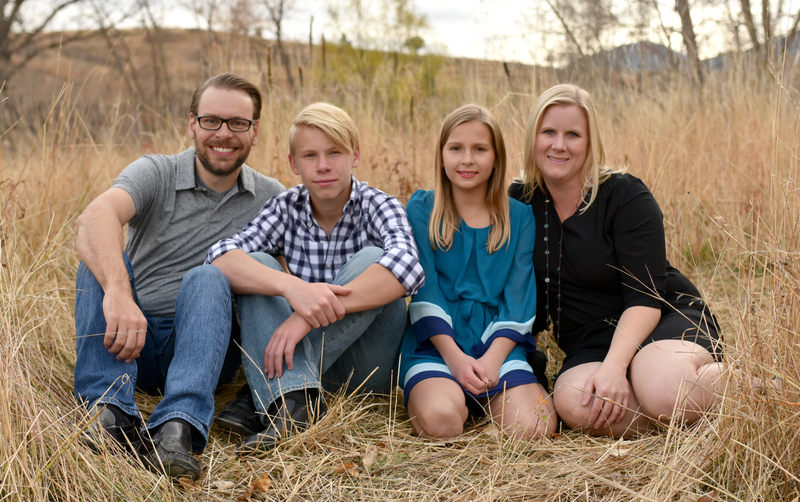 Mostly just spending time as a family which is the most important thing like you said. I try to make it easy and stress free. And I never decorate too much. This year my 9 yr old daughter decorated most of the tree by herself. I love having ‘older’ kids. Merry Christmas! I love this. You are so right – our houses may not be perfect, but it’s ’cause we live real lives. And are too busy celebrating the holidays to have them look perfectly blogworthy! I feel like I was just reminded of the same lesson over Thanksgiving ’cause I was sick the whole time! So much for a Cleaver-esque day! My mom had a count down calendar growing up and I found one last year online very similar to hers. We don’t do an advent calendar either… Christmas Countdown on felt is all they get. 😉 As for my tree, I’m currently 8 months pregnant. I’ll be lucky if I get an ornament on the tree. My kids will be lucky if their presents are wrapped! Haha. It’s so refreshing to hear that someone else won’t have it all together. I feel the same way. I love Christmas, but I’m not that into making the extra effort to decorate the house for a few short weeks. So, I’ll do some, but it won’t be magazine ready. I feel guilty as a designer and as a blog reader since I think it’s assumed I should be decorating the entire house and it should be done by now. I just value other things more than holiday decor. I’ll be doing good to get the tree up. 🙂 Thanks for the great post! Amen Allison! I am right there with you. The tubs are down from the attic, but haven’t had the time to put the tree up or decorate. I do have the Christmas flag out and my little garden flag out. But that’s it. Hopefully by this weekend I will have it started. But I need to get it up because I need to do a family picture in front for the Christmas card. Ugh! Cards might not get done this year, but that’s ok. I’m spending it with my family and that’s what really matters. But the five year old is really wanting it up! I did get the fisher price nativity out so she could play with it and her advent calendar out, so at least I’ve done that! Thank you for this post! I really needed to read it to realize my house isn’t going to be magazine or Pinterest perfect! This is such a relief to read! We recently moved and our truck was too small, we had to leave a bunch behind – I opted to leave our Christmas tree, because it was so small and barely had any branches – I was jealous of all the people who posted pictures of their big full trees that looked so gorgeous. I figured I’d just buy a new one – having no idea how expensive they are! So I think we’re going to skip the tree this year to try and get one on clearance after the holidays, and you know what I keep seeing on Facebook? Pictures of people’s tiny, sparse trees that still look gorgeous because they bring in the Christmas spirit, and I feel like such an idiot for leaving ours! As far as advent calendars – never really did those either. My mom had one she made – it hung on the wall, has a large felt tree covered in little hooks – then down below are 25 little pouches, and each one contains a mini ornament (I think she mostly gets them from Hallmark) – so we got to hang up a new ornament each year. It was honestly our favorite Christmas tradition, and it got reused every year with no additional cost. She made one for me when I got married and it’s still my favorite tradition, and one of the few decorations that gets put up somewhat on time! One of the reason I keep coming back to your blog is your compete honesty. I can relate to this post because that is my life too. When I see the blogs where the house is decorated to the 9’s, I think to myself that person must be exhausted! Oh, and don’t you just love the over-the-top tablescapes. My question is where do you put all those knick knacks when you sit down to eat. Do those people have a “looking at” table and an “eating at table”? Seriously, three plates stacked up along with an entire forest down the center of the table complete with pine cones in a soup bowl. And doesn’t it seem like it takes twice as long to put all that stuff back up? I’m with you, Allison. I would much rather spend the time with my family. Hear hear! I totally agree with you. Since I’ve lived on my own, I’ve never had much desire to decorate. Who wants to spend all that money on decorations and then store them (in an already small apartment when you’re young and likely to move again in a year) for the res of the year? I tend to get a tree of some sort up, diy a few paper ornaments (to be recycled when the tree comes down) and maybe hang some lights around the apartment. Oh, and display any cards we receive. That’s good enough for me, and then I go somewhere else for Christmas day celebrations where it’s usually all decked out! I do look forward to the day where maybe I’ll have my own house, people will come to me, and I’ll start some more substantial holiday traditions (with some kids), but for now, I am enjoying the relaxed take on Christmas. I can totally relate to your post! I have been following not one, but two holiday home tours in blogland this week. I can’t help but feel inadequate some of the time! I’ll just be glad to get the tree up and share what I can on my blog by the weekend. I too have no idea who those people are that put 1/2 a dozen trees in their houses…don’t get me wrong, it’s awesome but not necessary…I’m just waiting for someone to post a picture of a tree in the crapper…I’m sure someone will, haha. Just like any holiday, it’s easy to get caught up in it and somehow feel we must compete, because let’s face it, we ladies are all competing with each other on some level but we will never admit it ou tloud! 😉 Take care and have a wonderful holiday! Amen! I’m all decorated for Christmas, but each year I feel like I need more and more to keep up! I need to get over that. I love the Lego advent calendar! We had a calendar growing up, but my mom didn’t fill it with candy or toys. We just moved Santa to a new slot each day as a countdown and it was still lots of fun! You are my favorite. Thank you for this!! Decorating your home for Christmas is not a competition. You decorate to make yourself and your family happy. There is no need to mock or knock families (women) for how they choose to do this. Don’t want a tree? Fine. You want 1 or dozen a trees. Perfect. Fake or real tree? Fantastic. Can’t stand tablescapes or love them? Awesome. Want to decorate a lot or barely? Right on. Do not like or absolutely love to bake holiday goodies? Excellent. Why the need to condemn, criticize and mock other women for what they do. We decorate 9 trees. Why? Because they all have a significance. They make my family happy to see them and it makes Christmas for “us”! I had no idea women were snickering or gossiping behind my back because of it. But you know what? MY family looks forward to it. MY family walks into the rooms and sit down by these trees to read their books, do homework, play games and chit chat with friends. Lots of memories made next to these trees. My favorite memories are Christmas music playing and decorating trees. Old stories get told – laughing and tears commence. It is wonderful for us. Please have a wonderful December filling it with lovely memories and without worrying about how you or others choose to make that happen. We’re in the same boat over here at our house! I usually decorate the tree over Thanksgiving weekend but was just too busy this year. So I tried something new….I opened the bins of Christmas ornaments (the unbreakable ones) and placed them next to the tree and told the boys to have at it. They put a few on here and there throughout the day. Does it look great? No! But that’s okay. I’ll fix it in a day or two when I have time. Right now they are having tun and think they’re helping, and that’s what its all about…. I absolutely love Christmas and really get into decorating and such. But, I recognize my limits too and know I will never look like the Pottery Barn catalog or many of the blogs I see. 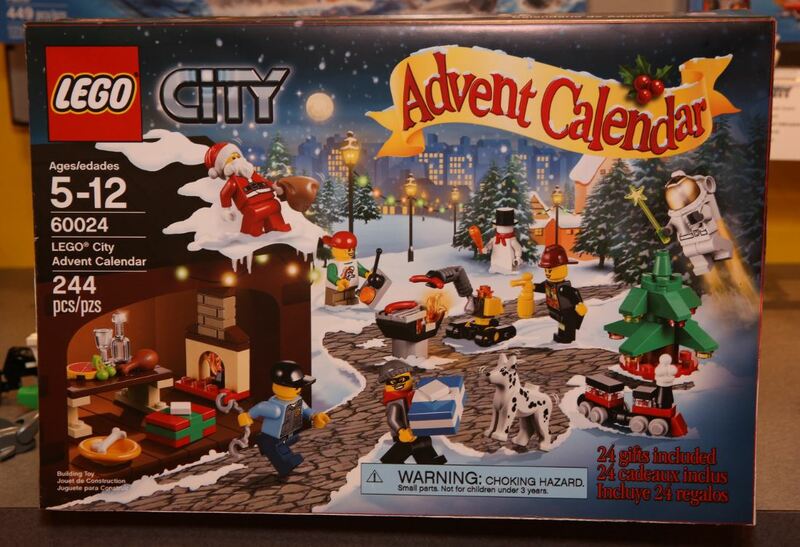 Love the Lego Advent Calendar. I love your candor and honesty. I am all about keeping it real! I could NOT believe the overload of holiday home tours this year. My answer to that was my “Keeping It Real Holiday Home Tour”. It was pretty, but not perfect! I love the above comment about all the stuff everywhere. Personally, I don’t get table scapes and I don’t get it when they take up the whole table and there is no where to eat! Last year it was everyone’s mantel, this year was everyone’s entire home! Next year it will be the garage too. Maybe I will just be ahead of the trend and decorate the inside of my minivan. My kids can just push the home made garlands and lovely chalk board signs out of the way. Instead of table scapes, I will have a trunk/cargo scape. Not sure where I will put my groceries, but I will figure it out. Have a wonderful Christmas, I hopped over here from The Dedicated House, so glad I did! Haha I love this comment so much! Tell me about it! What happened to blogs about people’s real lives? Now blogs are just a free online magazine. I want to read blogs because they are real people. If I want to read BHG I will go buy BHG! PS I have a Travis too. He is 12, a twin. And I so remember the glamorous feeling of being in painting overalls, or old jeans and a disposable T-shirt all day. Hmmm, I don’t think much has changed.